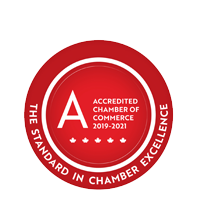 Harris Flower Farm | Agriculture - Growers & Producers | Flowers - Growers | Flowers - Retail | Wedding Planning & Services - Business Directory - St. Thomas & District Chamber of Commerce - ON, ON ? The Harris family, Janis, Mark, Cameron, Nathan and Megan have operated their farm just north of St.Thomas since 2010. You'll find their seasonal fresh cut flowers at local markets. As well, flowers for special occasions and wedding are available in any size you need.